We’ve been struck by a new wave of inspiration and updated Sakura, Sun Goddess, and Traditional Karma’s splashes. 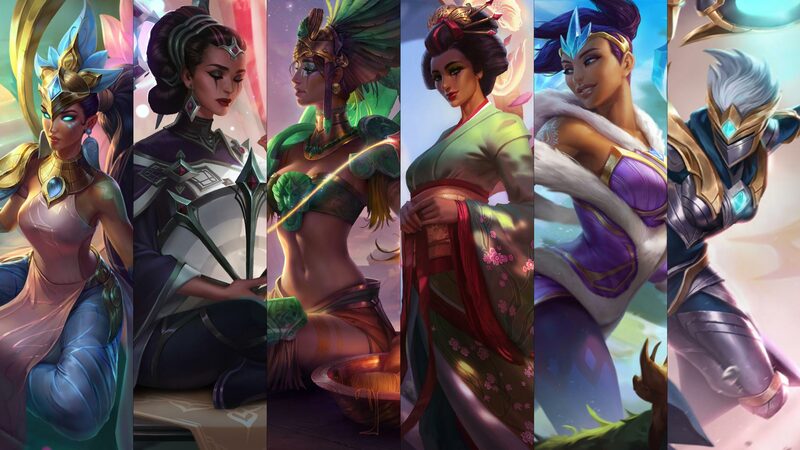 In celebration, all of the Enlightened One’s skins are now available in the League store. Protect the peace with Legacy skins Sun Goddess Karma (750 RP), Winter Wonder Karma (1350 RP), and Traditional Karma (975 RP), or own the skin bundle before they leave this realm on April 12, 2017 at 23:59 PT.